I got up early and went outside to stretch my legs for a bit. It’s nice outside, mid-70’s, which makes it a decent temperature for riding. 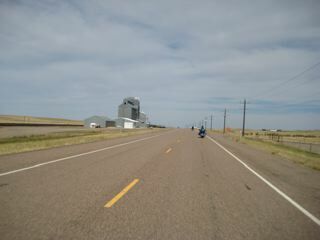 We departed Havre, MT about 8:30am on the 3rd day. For reference day #3 was Monday, August 25th. We lost an hour of sleep due to the mountain time zone change and felt a bit rushed once we realized it was going to be a high mileage day. We wanted to get some miles under our belt before the day’s temperature heated up. Unknown to us was the fact that the largest infrastructure project ever tackled by the Montana Department of Transportation was finished just prior to our arrival. 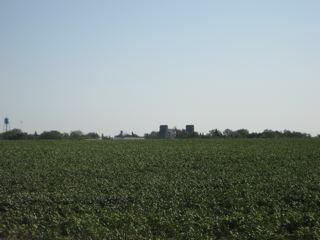 A $30 million project spanned 33 blocks of Highway 2 within Havre’s city limits. More than 280 businesses and residents now have entrances to their property right off the Highway. At 11am it was 90 degrees and by 1pm the temp gauge on my windshield was pegged at 100. We crossed this river all day long and I lost count of the number of overpasses or small bridges. 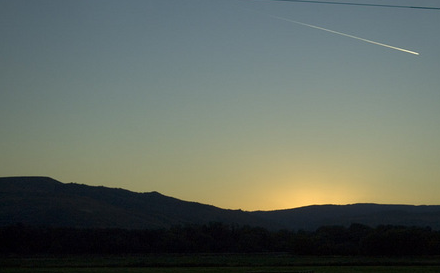 From Havre to the North Dakota border, the surrounding area is known as “The Hi-Line“. 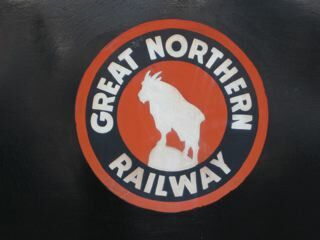 To the locals who know it from the early Great Northern railway route. My Montana relatives always refer to this area as the “Golden Triangle” which is one of the most productive farming regions in the country. 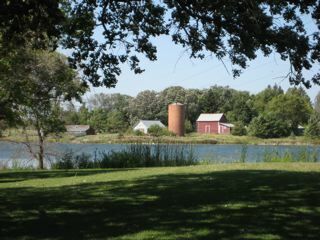 We continued east through the Fort Belknap Indian Reservation then to Malta. From Malta, we continued on to Glasgow, just north of Fort Peck Dam, and then into the Fort Peck Indian Reservation. We stayed either on or within the reservation for much of the remaining trip through Montana. 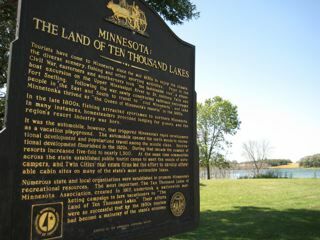 On the reservation it goes through Wolf Point and Poplar, and then exits the reservation a short distance before leaving the state. We hit the final town in Montana of Bainville and said goodbye to the “Big Sky” state. 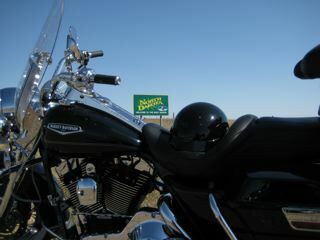 We stopped at the North Dakota border for a “welcome” to the state photo op. North Dakota has been converting sections of US 2 from two lanes to four lanes for many, many years. The section from Grand Forks to Minot was completed several years ago. The section from Williston to Minot was just completed this year in a campaign that began a few years back and was labeled “Across the State in Two Thousand Eight”. In actually, US 2 is a four-lane road now from the eastern edge of Williston for a stretch of about 343 miles, leaving only 12 miles to the Montana border which is a two-lane highway. Between Williston and Minot, the road provides several high points where you can view beautiful landscape for many miles in all directions. 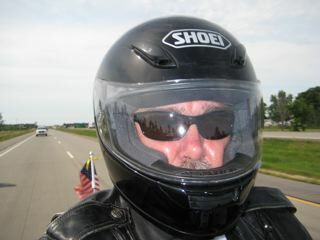 We ended our riding day in Minot after ~440miles.